Most of the people travel to Penang with the main purpose of finding good street food and some attractions which well-known by most tourists; you have one more place to visit now - Made In Penang Interactive Museum (美因檳廊). I went there months ago right after Jayne came and visited me in Penang, should went there earlier with her, feel quite regret for not going there earlier. Sign. Since we went there few weeks after their opening, we got to enjoy the promotion on their entrance fee (I paid only RM5 lol), I'll list down the price at the end of this post. Love how their entrance ticket looks like, it comes with a QR code, do keep the ticket with you as you will be needing it when you found their interactive kiosk. I'm not going to post how it works, I'll leave it for you to discover. This is the first part - miniature for local trades and Weld Quay. Hold your gasp when you see the miniature of Weld Quay which show you the 19th Penang Jetty Diorama (Behn Meyer Building), it is so amazing they can made things like that. Right after the miniature area, you will move to their interactive kiosks where your entrance ticket will show you some magic. The most exciting part will be their Trick Art Gallery, where more than 20 paintings are waiting for you, I'll only share some over here. Ignore some of my funny face, it's hard to pose here when others are seeing you and waiting for their turn to take the some shots with the paintings, very gan cheong (means nervous in English) you know. Try not to go there during peak season (public holidays) as those paintings are quite near to each other, and it's quite hard for you to take photos in the crowd. I saw some new paintings are up from social network, I think I should pay another visit, but I don't think they have promotion for entrance fee anymore. Before you exit, you will be heading through a mini theater providing a video presentation of Penang story (in English and Mandarin version), you can decide to stay and watch or not. 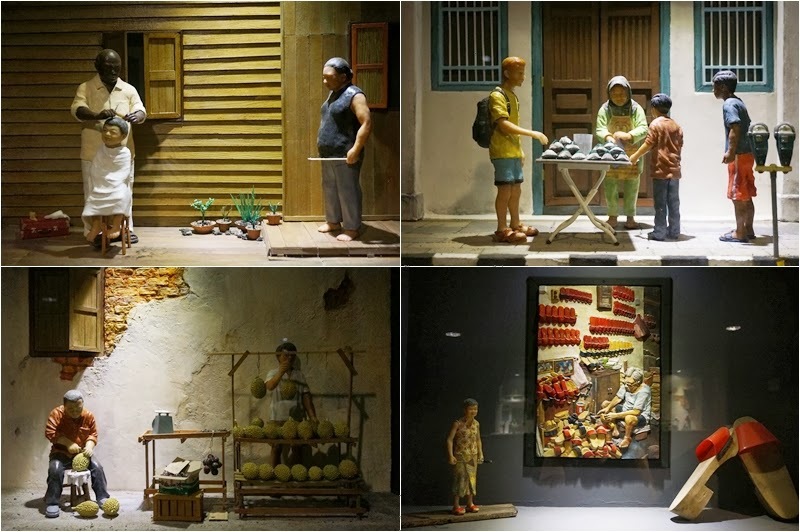 It's quite impressive that they make the story in 3-D effect, I think we spent around 2 hours++ inside the Made In Penang Interactive Museum, it's quite worth for you to pay a visit. No. 3, Weld Quay, 10300 Georgetown, Penang. Bought a casing for my iPad mini, finally.